Protecting your privacy is very important to Brighter (an initiative of the Australian Petroleum Production Exploration Association – APPEA) and we are committed to maintaining the security of all personal information provided to us by visitors to; and users of our websites or via other channels. APPEA also remains committed to observing its obligations and requirements under the European Union General Data Protection Regulation (the GDPR) in instances where it gathers data on individuals in the EU. APPEA does not make it a practice to collect sensitive information and in the event that it does, it will at all times comply with requirements under the Privacy Act. APPEA is committed to the open and transparent management of personal information. This policy is made available on the Brighter website and will be made available free of charge upon an individual request. g) if APPEA is likely to disclose personal information to overseas recipients—the countries in which such recipients are likely to be located if it is practicable to specify those countries in the policy. The types of personal information we collect may include may include your name, company/organisation, position, business address, business telephone and fax number, email address, mobile telephone number and the APPEA forum/s to which the individual belongs. when legally required to do so – for example under the Privacy Act. All personal information is stored securely at APPEA offices in paper and electronic form. Imposing computer access security measures including password protection. APPEA maintains personal information on members and other stakeholders, firstly in order to provide information relating to the Association’s activities, events and projects, and secondly to provide information that may assist the business operations of the company/organisation to which the individual belongs. In exceptional (and very rare) circumstances this information may be provided to another organisation for purposes of providing information on matters which may assist the business operations of the company/organisation to which the individual belongs subject at all times to the application of the APPs. At all times you are entitled to access your own personal information held by APPEA and to seek to have it corrected. Please contact the Privacy Officer below should you wish to do this. If you have a complaint about how we collect, hold, use or disclose your personal information or a privacy related issue such as a refusal to provide access or correction, or any breach or perceived breach of the APPs by APPEA then please use our complaints process so that we can deal with your complaint effectively and efficiently. 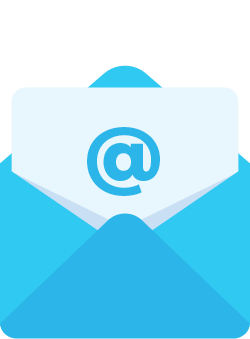 Contact us – please contact us on the email below with your complaint so that we have an opportunity to address the problem and rectify it. We will endeavor to provide you with a response with 5 business days or as soon as reasonably practicable. Internal Review – If you are not satisfied with the outcome of your complaint, then you can request a review by the CEO of Brighter. The review process will usually provide you with a decision within 25 business days of receiving your complaint or as soon as reasonably practicable. It is unlikely that APPEA will provide personal information to an overseas recipient. If it does, it will only provide personal information to an overseas recipient in accordance with the requirements of APP 8. Under APP 2, you have at all times the option of not identifying yourself or using a pseudonym when dealing with APPEA. This right is subject at all times to whether it is impracticable for APPEA to deal with you anonymously or by using a pseudonym and we are happy to discuss any concerns you may have in this area by contacting us using the link below. APPEA will only collect personal information that is necessary to its business functions and activities. At all times APPEA will only collect personal information by lawful and fair means and at all times subject to the requirements of APP 3. Where APPEA receives unsolicited personal information it will within a reasonable time of receipt determine whether or not it would have collected the information under APP 3 if APPEA had solicited the information. If APPEA determines that it would not have collected the unsolicited personal information, it will as soon as practicable either de-identify or destroy the information, if lawful to do so, unless the information can be managed otherwise in accordance with APP 3. APPEA will only use and disclose personal information for the particular purpose (primary purpose) for which it was collected or a related purpose where the individual would reasonably expect the use or disclosure of personal information. use/disclosure is required during dealings with law enforcement agencies or government bodies. APPEA will not use personal information that it holds for the purpose of direct marketing in accordance with APP 7.1. (d) the individual has not made such a request to APPEA. (e) the individual has not made such a request to APPEA. Despite APP 7.1 APPEA may use or disclose sensitive information about an individual for the purpose of direct marketing if the individual has consented to the use or disclosure of the information for that purpose. APPEA at all times will not adopt a government related identifier of an individual as its own identifier and at all times will be abide by its obligations under APP 9. APPEA will take reasonable steps to ensure the personal information it collects, uses and discloses is accurate, up to date and complete. APPEA will take reasonable steps to ensure that the personal information that it uses or discloses is, having regard to the purpose of the use or disclosure, accurate, up‑to‑date, complete and relevant. APPEA will take all reasonable steps to ensure that the personal information it holds is protected from misuse, loss, interference and unauthorised access, modification or disclosure. APPEA will destroy or permanently de-identify personal information when it is no longer required for use or disclosure, and where APPEA is not required to retain the information in accordance with an Australian law. APPEA will ensure compliance with archiving requirements as stipulated in various State and Territory based Health Record Management legislation. All requests for access to personal information must be referred to the Privacy Officer using the link below. All requests will be responded to in a reasonable time and where possible, access will be given in the manner requested by the individual. APPEA may charge the individual for giving access to the information (eg printing costs) however this charge will not be excessive nor will it apply to the making of the request. APPEA will take reasonable steps to correct personal information where an individual requests APPEA to correct the information or APPEA identifies that the information held is inaccurate, out of date, incomplete, irrelevant or misleading or irrelevant. APPEA will receive accept requests from individuals to correct that individual’s personal information in accordance with its obligations under APP 13. All requests for correction of personal information must be referred to the Privacy Officer.